Ahmed Bouzidi was panelist at the Plenary Session III: « Value of Innovation, Access and Incentives ». Other panelists were: Tom Fowler, Director Public Health for Genomics England – Giovanni Martinelli, University of Bologna – Ricardo Baptista, Member of Parliament of Portugal – and Agnes Mathieu, DG SANTE D5 (Medical Products), European Commission. The theme of EAPM’s fourth annual conference, under the auspices of the Dutch Presidency of the EU, was: “Taking Stock: Where we are now and the necessary next steps.” Personalised medicine has never been more in the public eye than it is now, especially given US President Barack Obama’s initiative on precision medicine, and the conference aims to reflect this. At the conference, high-level speakers and attendees came from a wide range of stakeholder groups including patients, healthcare professionals, academics, industry representatives, politicians and legislators, the media and more. EAPM played a key role in July’s Luxembourg event, entitled “Making Access to Personalised Medicine a Reality for Patients”, and the meeting addressed obstacles to the integration of personalised medicine into EU healthcare systems, identified best practices and their added value and outlined the potential benefits of personalised medicine for public health and its impact on policy-making in the EU. Created in 2009, Vaxeal Holding SA is an SME headquartered in Vevey (Switzerland). The company, in partnership with leading International Research Institutes, is developing therapeutic vaccines in combination with immuno-modulatory drugs for the treatment of cancers and infectious diseases. The cutting-edge immunotherapies are protected by several patent families. Our initial programs have reached the pre-clinical stage in major disease segments, and are expected to enter into clinical trials in Europe soon. 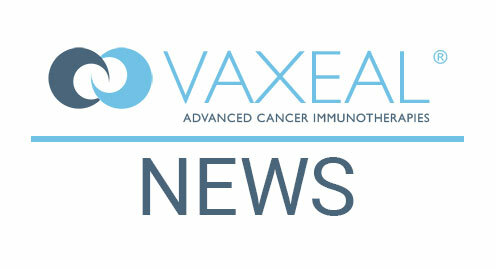 Vaxeal is member of Vaccines Europe, and the European Biopharmaceutical Enterprises. The company received a special MIT award for “its remarkable breakthrough in the field of vaccines”. Please visit www.vaxeal.net for more information. The European Alliance for Personalised Medicine (EAPM) was launched in March 2012, and it brings together European healthcare experts and patient advocates involved with major chronic diseases. The aim is to improve patient care by accelerating the development, delivery and uptake of personalised healthcare including personalised medicine and diagnostics. It is calling for the European Commission, the European Parliament and EU member states to help improve the regulatory environment so that Europe’s patients and citizens can have early access to personalised healthcare, and so that public health research is boosted.